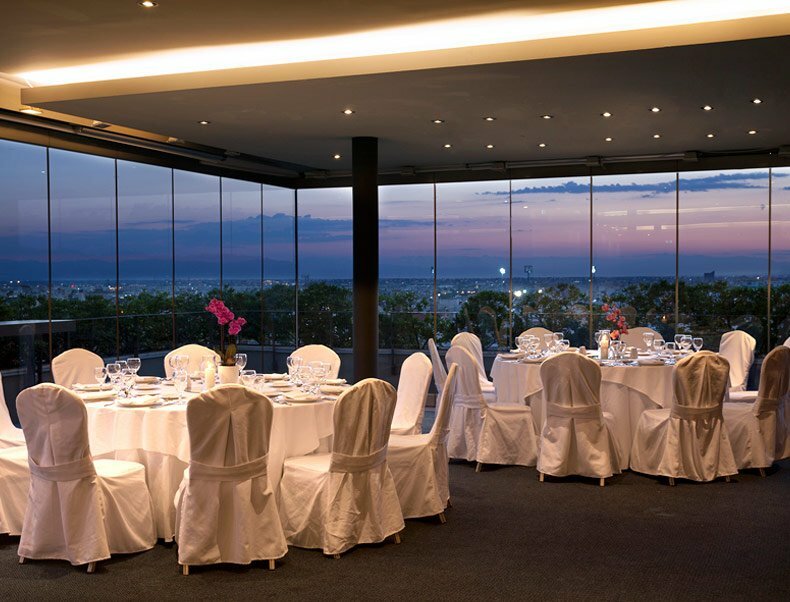 Boasting the most spacious rooms in Thessaloniki, the hotel provides the ultimate retreat for families and couples, corporate travelers and city enthusiasts. There are eight different types of rooms and suites for guests to choose from, as per their personalized needs and desires. All of them are ample, soundproof and bright, modern and fully functional, offering a multitude of special amenities that add to the optimal overall user experience. Comfortable sleeping through the selection of pillows and the use of anatomic mattresses, VIP room facilities, 24 hour front desk and room service, room temperature control and a lot more turn your stay into a truly memorable one! 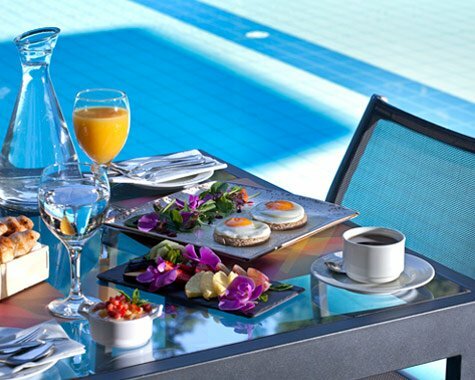 Turning breakfast into art, guests are welcome to join a feast of flavors and aromas every morning. Wake up to the smell of freshly ground coffee and start your day with sweet and savory delights that keep you energized throughout the day. 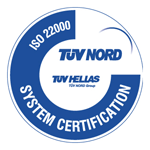 And for those who wish to unwind and enjoy Greek sunshine, the outdoor swimming pool is just the place to be! 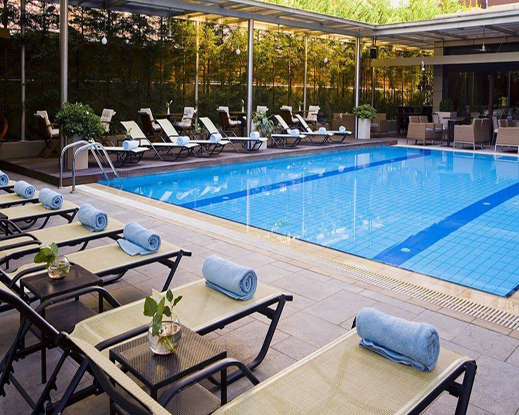 Pick a sun lounger on the wooden deck, sip on iced cold cocktails from the pool bar and dive in the freshness of the water. Dining and wining at one of the hotel’s restaurants and bars is an experience on its own. Greek cuisine at its finest, along with international influences and of course a carefully handpicked wine list, colorful cocktails and refreshing drinks are waiting for you to taste. As for corporate events, the hotel offers impressive, state-of-the-art meeting/banquet facilities with 5 functional multi-purpose halls and with a maximum capacity of 1000 delegates, thus covering any contemporary need of the business world. 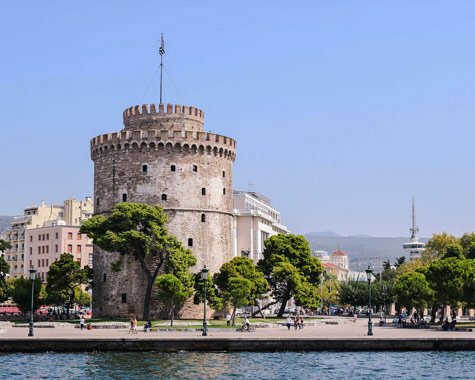 Where top class hospitality meets luxury and comfort, LAZART Hotel in Thessaloniki provides an exceptional option in one of the most wonderful areas of the city, a hub of culture and art! 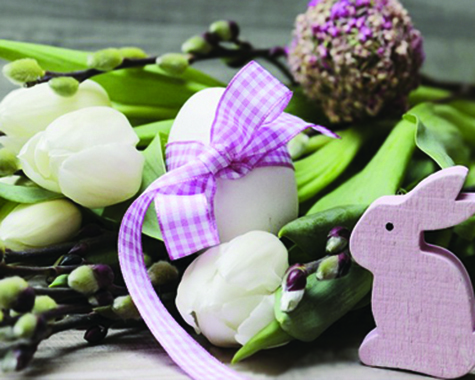 Feel the majesty of Easter via a unique package Lazart Hotel tenderly made for you. 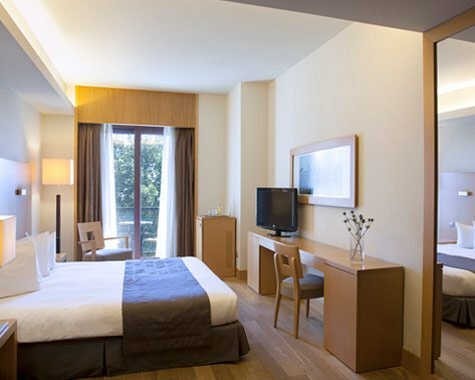 The ultimate retreat for families and couples, corporate travelers and city enthusiasts. You are welcome to enjoy supreme facilities, services and special amenities. 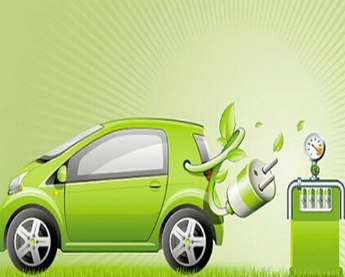 Lazart Hotel has officially implemented a Car Charging Station by Hager for guests travelling with electric vehicles to Thessaloniki! Pick the right place for each occasion and introduce yourself to yet another magical journey of the senses! 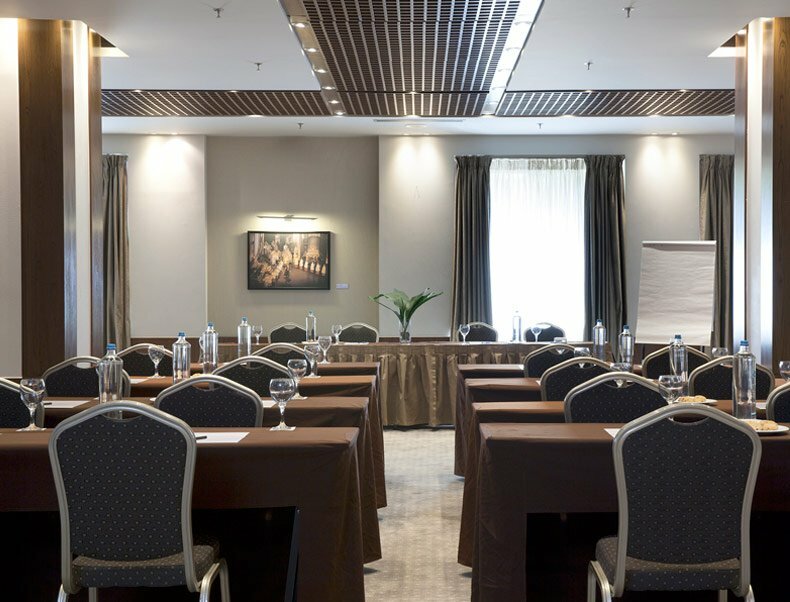 A variety of 7 multiple-purpose meeting rooms to satisfy your personalized needs and desires. Host a glamorous wedding reception & create memories of a lifetime together.